Can you believe it's the end of 2015? I feel like this has been a whirlwind of a year, but it still doesn't feel like it's time for the year to come to an end. The new year is a great time for new beginnings, new goals and new years resolutions! What are your New Years Resolutions for 2016? Maybe it's to build up your savings account or shed a few pounds? I love to include my little family when thinking about resolutions or goals! Whether it's getting out and exercising more together or choosing healthier food options together, it's great to get everyone involved - plus it makes it that much more fun and exciting! 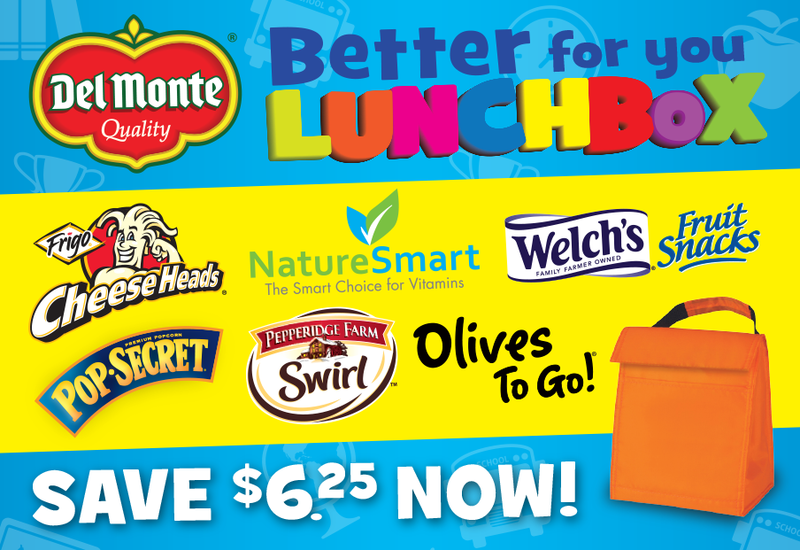 In Jan/Feb 2016 at Walmart, Del Monte will be hosting a themed “Better for You Lunchbox” booklet on 1 million packages of it’s Fruit Cups, $6.25 in instant coupon savings from great lunchbox brands including: Del Monte®, Pepperidge Farm®, Welch’s®, Diamond Foods, NatureSmart, Saputo®,and Musco® Olives. 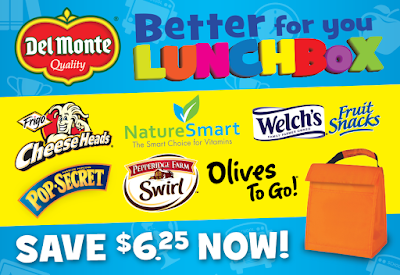 When I pack my children's lunches it typically consists of a juice or bottle of water, sandwich, their choice of crackers a Del Monte® Fruit Cup® Snacks and Welch’s® Fruit Snacks! I know by packing my children's lunches daily they are getting to enjoy healthy food, we are make healthier choices as a family and they are eating all of their lunch because it contains foods they really love! What are you looking forward to in 2016? Do you have any New Years Resolutions?